Loving Day fights racial prejudice through education and build multicultural community. Ebony Road Players are producing a series of events full of art and entertainment to create a welcoming space for multiracial families and celebrate our multicultural community. This celebration is for all who are inclusive. Loving Day is celebrated in cities throughout the country in observance of the Loving v.Virginia Supreme Court Case of 1967, which struck down the criminality of interracial marriage in the United States. It also provides and opportunity across the country to celebrate all the members of our community. Here is what West Michigan is doing for Loving day. Come join us. were inherited from her dark-skinned Sicilian grandfather. vendors, a stage with music, and a family dance party. the super hero Black Panther! Thank you for giving in the past. Your donations will help us keep most of this celebration free. All donations over 100.00 receive a Loving Day T-shirt or 2 tickets to Neither, There nor Here. Every penny counts. Get a Loving Day shirt for a $50.00 donation. My Goodness, Thank you Charlene and all our wonderful donors. Who can take us over the goal for the weekend. We only have a little over $130.00 left. I am breathless. Love Lives!!! We are getting to the end of weekend total of 1000.00 You still have time to help us. Your donation of 20+ helps support the Loving Day mission to "fight racial prejudice through education and build a multicultural community". In this day and age, what is more important? All we need is 12 more supporters looking to help the challenges in this community. We are so close to hitting the weekend goal. Maybe a few more people to off-set the fees. But we are so close. 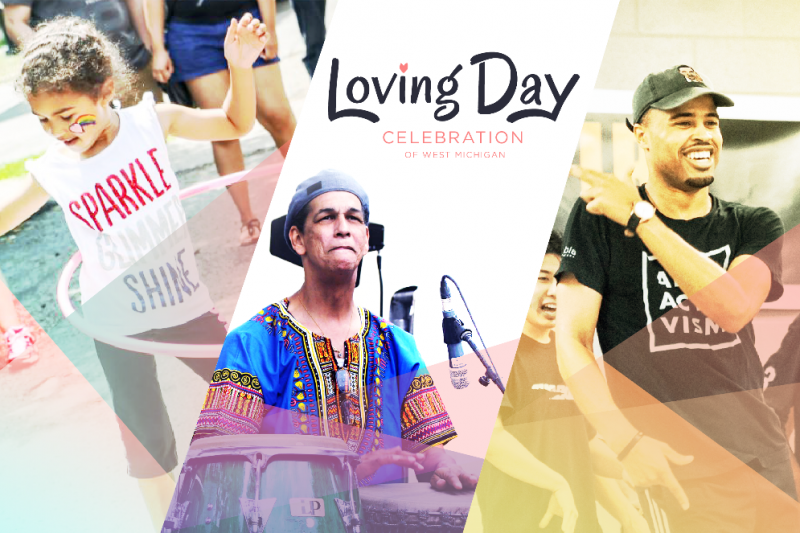 Please help and come enjoy all the activities during the weeks celebration of Loving Day.